Athens Digital Arts Festival is delighted to inform you that is selected as one of the 26 EFFE Laureates by the EFFE International Jury. 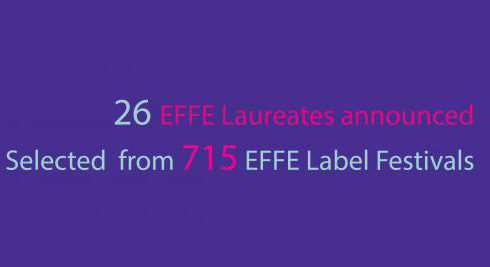 The Laureates are chosen from amongst the 715 Label recipients by EFFE – Europe for Festivals, Festivals for Europe for their exemplary work and commitment to festivals’ role in the arts and societies. The EFFE Award Ceremony will take place on 18 September during the Arts Festivals Salon in Brussels, hosted by the Centre of Fine Arts – BOZAR. Being the only Greek Laureate, Athens Digital Arts Festival is rather honored and proud to represent the local cultural scene to the European Festivals Association (EFA). Such recognition is always important for ADAF as it strengthens our efforts for innovative initiatives and development while enabling us to promote Greek culture internationally. EFFE is a result of many years of intense collaboration with the European Commission and European Parliament. EFFE started as an organization by the European Festivals Association (EFA) in order to focus more single-mindedly on Europe’s diversity and creativity. As a result, we are really proud to be part of this creative community and to share knowledge and experiences with international experts. We would like to thank everyone who has supported us through all these years and, especially, the audience that always encourages our passion for cutting edge actions. From our side, we are pledged to have an exceptional presence and strong social engagement at the EFFE Award ceremony, celebrating the diverse festivals’ community all over Europe.